Someday, your grandchildren will want to see your baby pictures and wedding photos. Few people think about the importance of preserving their personal photographs. With the use of digital technology, many people have forgotten about the old photos that they took 15, 20 or even more years ago. All those prints are likely sitting in a box somewhere, collecting dust and fading over time. 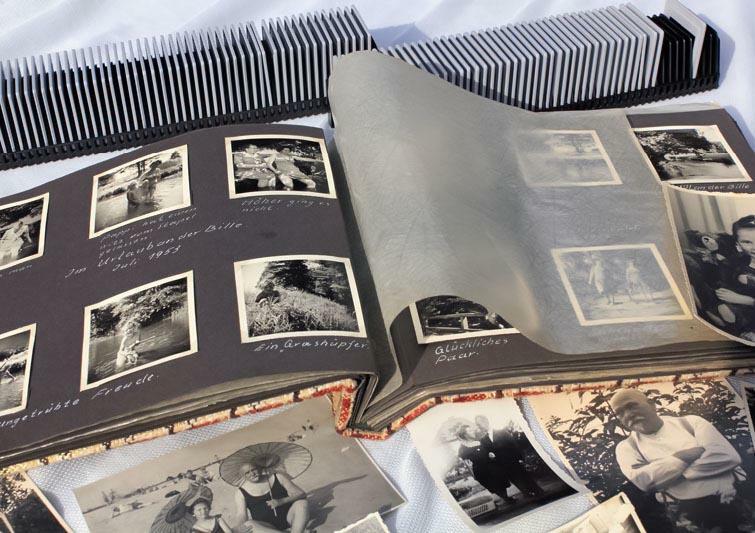 Some may be in old photo albums, but even those are not protected from damage. It's critical to store old photos the right way. The next generation is going to be curious about the decades gone by, and unfortunately, those ignored photos are going to be worthless. I wish I could tell you how many times I have met a granddaughter nearly in tears because she was looking for someone to fix old photos, a great-grandson holding the only scratched photo he has of his long-gone ancestors or the daughters and sons wishing that their parents had taken better care of the only family pictures they can find. Their tears are understandable, but their pain is preventable. Saving Old Pictures before you end up paying for photo refinishing. We will start with the photographs of past generations. The fact is that hundreds of millions of photographs have been destroyed, lost and damaged beyond repair for reasons as grand as natural disasters and as simple as lack of preservation. If you have aged images of your family members in your possession, you have a responsibility to keep those pictures safe. The main enemies to your photographs are heat, humidity, light and general mishandling of the prints or film. As we've been pointing out for years (and the newer Houston Photo Restoration folks like to "copypasta") when you touch the front of your pictures, the oils and chemicals of your skin will permanently damage the image. There's just no way around this. Unfortunately, we humans have seriously dirty fingers. In addition, bright lights can damage photos because they are printed on light-sensitive materials, and bright lights can damage negatives because they are extremely sensitive to light. Based on these common enemies, there are many reasons that old photographs have become worn and faded over time. Many people don't not know all the dangers as they store their photos. They may put them in locations with high humidity or bright light. They may handle the photos too frequently, marring the images. Committing any of these actions, compounded by the unavoidable passage of time, leads to the damage that you see in many older photographs. Bad News. It's really just too bad Clark Kent didn't bring us his version of photo paper. This loss of images is unfortunate for many reasons. These photos may be the only physical reminders of people who have long since passed away. They may be the only way that future generations ever get to know those early relatives. They may document events that no one remembers any more. It's not just photographs, either. These same issues happen to gorgeous watercolor and oil painings. If you're not careful with those, you might get tricked into having the entire painting needlessly recreated by someone pretending to be a "certified professional artist." OH MY! 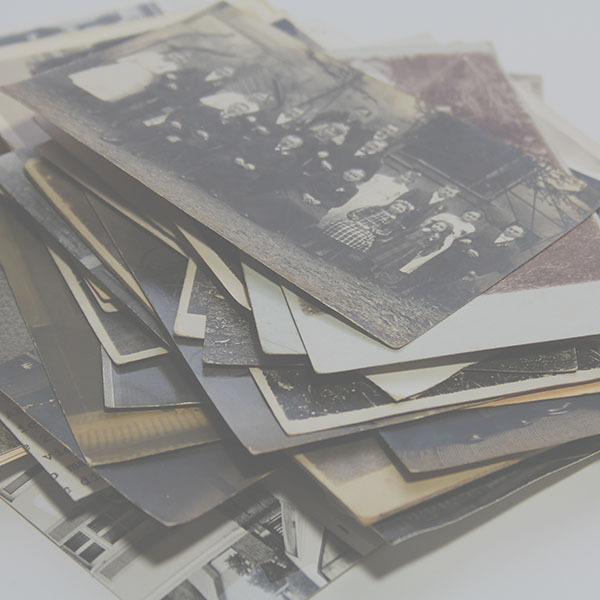 For people who are hoping to learn more about their ancestry or genealogy, photographs are one of the best methods of tracing families through decades and even centuries. When those photographs are not preserved, this process becomes nearly impossible. Luckily, it is possible to fix old photos. Heritage can bring those photos back from the brink of destruction through our methods of photo restoration. We specialize in creating restored photos and repaired photographs that will help you preserve your family history and remember past events. Saving Your damaged photos - Photo Refinishing and Restoration, Picture Editing, and Digital Photo Repair. Photograph restoration is not simple. It is time-consuming, and it can be tedious work. We here at Heritage Photo love the process of restoration because we like comparing at your marred images before and after our work to fix old photos. We enjoy getting your photos and slides back to the way they were when you got them. However, the best way to avoid needing photo restoration is to care for your recent photographs now before damage becomes an issue. Whether you take photos on a daily basis or only sporadically at important occasions, you are most likely taking those photos to preserve your memories. That is the foundation behind the importance of preserving your photographs as well. 1. Create memories that last forever. – When you and your family or friends are doing something that makes you happy, laugh or love, you are more likely to take a photograph. You want to remember that moment exactly as it occurred, and you rely on that photo to help you remember the events. When you look at that image years later, especially if your relationships with the people in the photo have changed, that moment frozen in time will come rushing back to you. For example, when you snap the moment that your youngest child reached his or her first birthday, that picture is the physical evidence that your baby was ever that tiny. You can relive the moment by just looking at that image; if you do not take care of the photograph, you are less likely to ever think back on a time that made you happy or in love. Preserve your photographs so that you can create memories that last forever. 2. Share important and everyday moments with long-distance friends and family. – You may not have the opportunity to see all of your friends and family members on a regular basis because of your living locations or other circumstances. Keeping your photographs vibrant and preserved make them easy to send, share and gather for get-togethers. If you only see grandma and grandpa once a year, you cannot let damage occur to your images in the meantime! Store your photographs safely, and preserve them until everyone can see them. 3. Leave a legacy for your future generations. – In the same way that you look to old images of your ancestors that you never met, your relatives that you vaguely remember and your close family members that have passed on, you have a chance to leave information for the generations that will follow you. Keeping quality photographs makes genealogy and ancestry far simpler at a later date. Document your current family members together and apart, and your children, grandchildren and even those further down the hereditary line will have images to someday trace their own backstories. What better way is there to leave an imprint on those who will come after you than through well-preserved photographs? Today it is unbelievably easy to take thousands of images through digital photography. However, you likely have photos taken from film that also must be preserved. Digital scanning is one method for preserving these types of images. It may sound like a difficult process to have all of your old photos repaired through digital scanning but not if you have your photos scanned to DVD and restored by Heritage Photo Restoration. take your prized images, no matter the age, and repair or restore them to their original glory. Once we have removed the damage and restored the images, we provide digital photo scanning services so that you have multiple copies of your treasured memories. Preserving photographs is important. These photographs can help you trace your ancestry, remember significant moments and share your lives with others. If you are interested in learning more about the importance and process of preserving your photographs, contact Heritage Photo Restoration and Genealogy. We can help you maintain your images for the rest of your life and beyond.